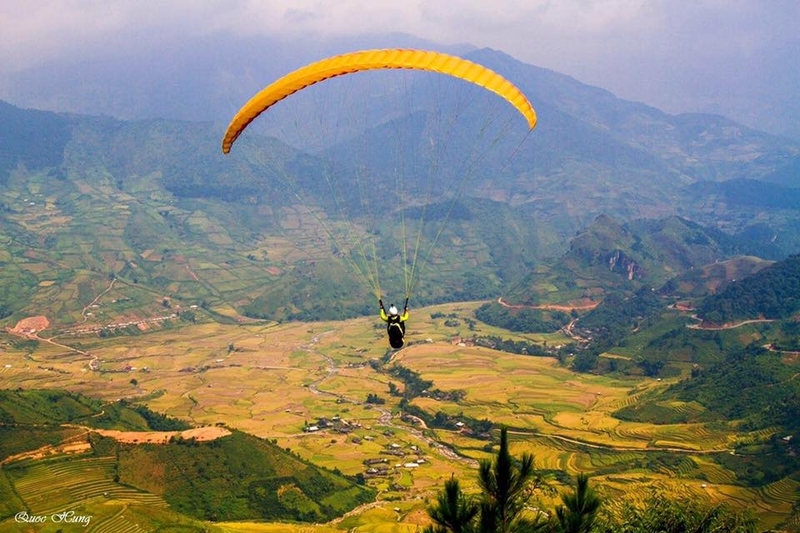 This year, the yellow paragliding festival was held on 21/09 - 23/09/2018 at Khau Phan Pass, Mu Cang Chai district, Yen Bai province. This is also the time when the golden terraces reaches its the most elegant beauty! The Paragliding Festival is one of the biggest events of the year which is held annually to attract the participation of hundreds of domestic and foreign pilots and thousands of people interested in watching. In the Northwest sky, you will admire the whole scene as "golden ladder to the blue sky". The festival includes demonstration activities, paragliding, guided tours of paragliding in the Khau Pass, and paragliding competitions. 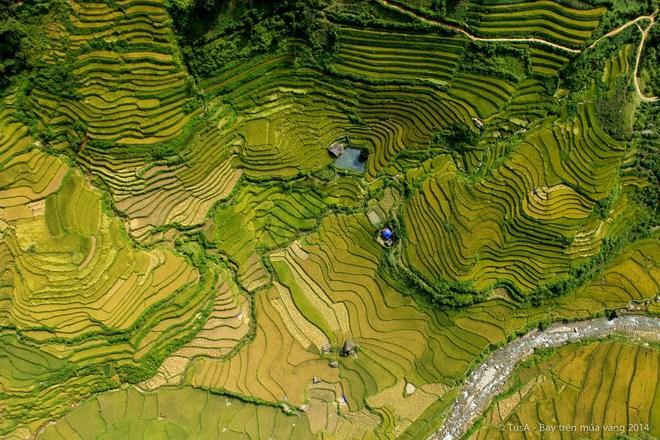 Any visitors in Mu Cang Chai this Autumn for sure can not stand still over stirring a golden season in the Northwest, the brew of rice is so tender and pure that it is so easy to break out the feelings of the excitement and passion. 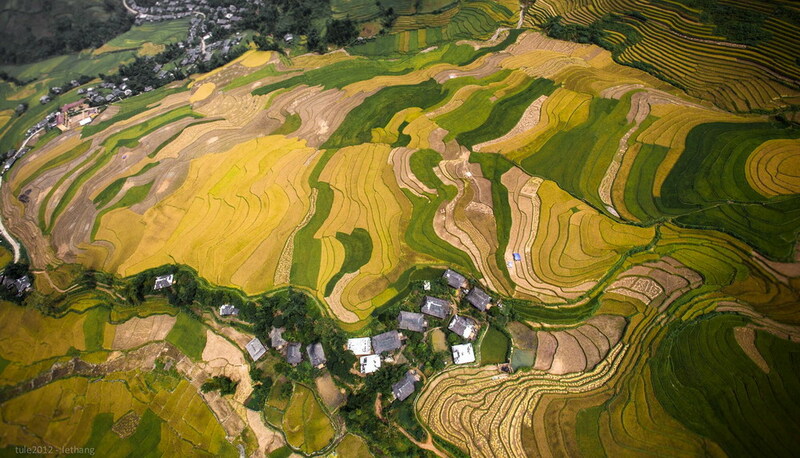 Get drunks in any Mu Cang Chai loops, visit the central market town of Mu Cang Chai, admire special products of the mountainous region, and blending in the flooded rice wave, sweet smell of fresh new rice would be the best feelings you ever have in your life. In the middle of the golden rice sea, clouds fill in Khau Phao pass. 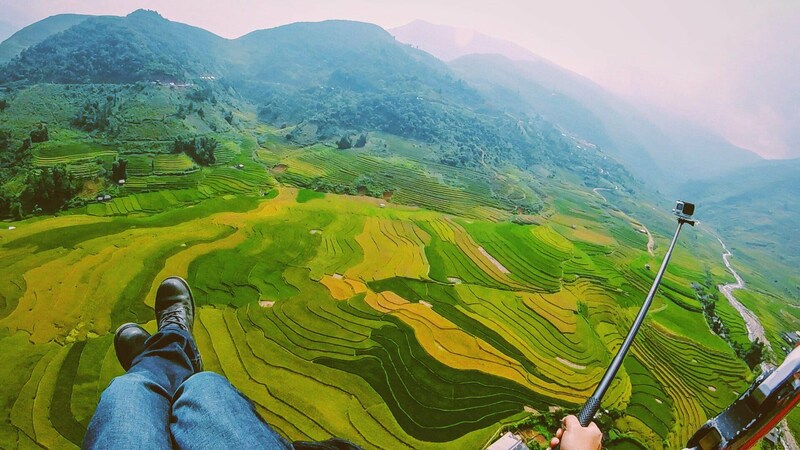 You indeed need to experience the flying parachute, the wind will lift the parachute up for viewers to feel the excitement of admiring the magnificent beauty of the mountains, the freshness of the climate, all of which make Mu Cang Chai terraced fields so spectacular.